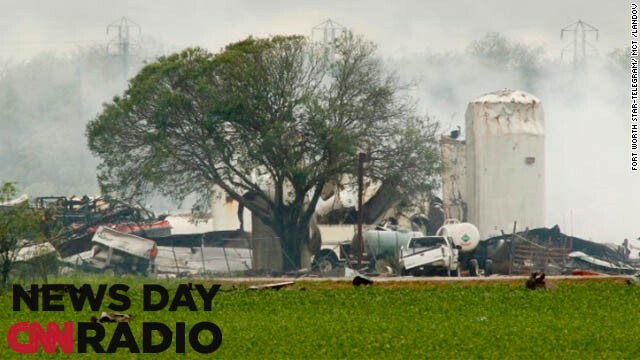 Debris litters fields around a fertilizer plant in West, Texas, on Thursday, April 18, 2013. Much of the small town suffered damage when the plant caught fire causing a massive explosion Wednesday night. Authorities are still trying to determine the death and injury toll.